Danell Leyva, Cuban-American gymnast and U.S. Olympic medalist starts the year off strong with his new role as a milk life Somos Fuertes campaign advocate, setting the example for Latinos everywhere to include nutrient rich milk in their diet. As part of the program, Danell touts the benefits of drinking milk, with its 9 essential nutrients, including 8 grams of high-quality protein in every 8 ounce glass, to help make the best of every day. Furthermore he shares how his love of milk, gymnastics and family have contributed to his continued growth and success as an athlete one glass at a time. 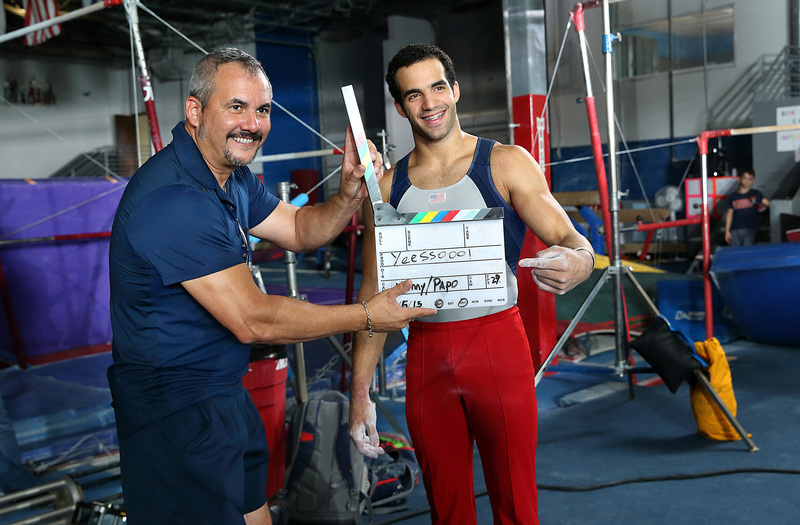 The newest face of the milk life Lo Que Nos Hace Fuertes campaign, Danell Leyva joins the campaign to help educate Hispanics on the importance of including milk as a part of a balanced diet. Proper nutrition, including milk’s high-quality protein, is a key component to his success, be it competing for Team USA at the London Olympic Games or in training or teaching the art of gymnastics to others. As part of his role as a Somos Fuertes advocate, Danell is also shining light on the importance of starting the day off with milk’s protein and other nutrients. Eating a protein-rich breakfast with milk can help energize your morning and keep you fuller longer so you can focus on the things you want to accomplish! In fact, many nutrition experts now recommend getting 25-30 grams of protein at each meal for the best daily nutrition. i,i,iii Americans tend to eat most of their protein in the evening, only getting around 13g in the morning. Simple changes to your morning routine can help correct this shortfall at breakfast. Including a glass of milk provides 9 essential nutrient including 8 g of protein - a great way to start your day with a nutrient punch. 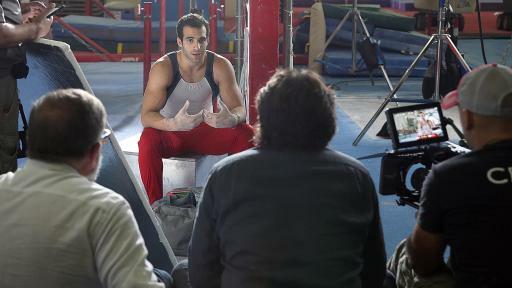 Visit Fuertesconleche.com to help jumpstart the New Year with inspirational videos from our newest advocate, Danell Leyva, as well as to understand your nutritional and protein needs, see how much protein you should be getting each day and find ideas on how an easy addition of a glass of milk can get you closer to your morning protein goal. 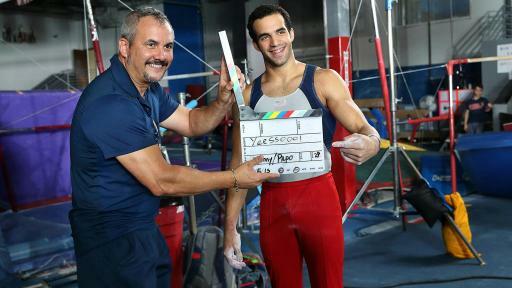 Danell Leyva, gymnast and U.S. Olympic medalist, is the first Cuban-American to make it to the U.S. Men’s Olympic gymnastics team. 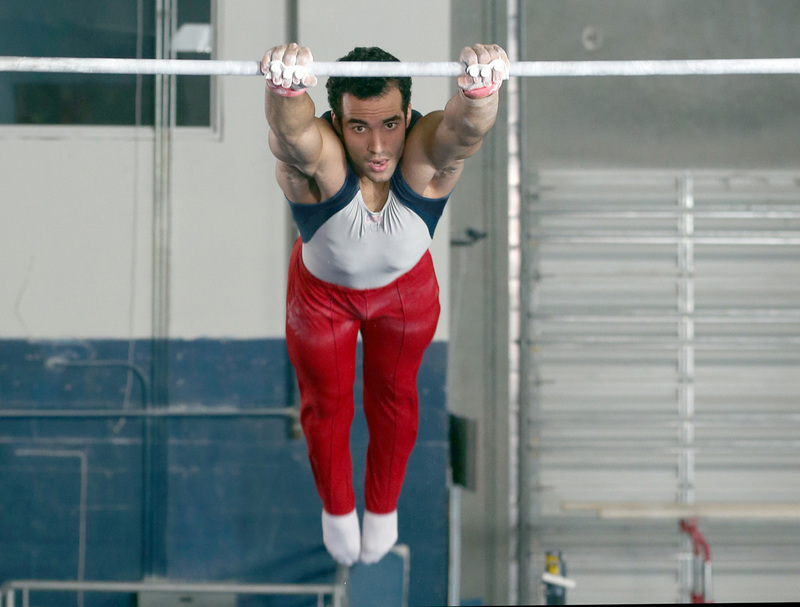 Under the training and teachings of his father and coach, Yin Alvarez, Danell has many achievements to be proud of including a 2015 World high bar Silver medal, 2015 U.S. parallel bars bronze medal, 2015 Winter Cup parallel bars champion, 2011 U.S national all-around gold medal and world champion on the parallel bars. He is also a U.S. Olympic Bronze Medalist at the London 2012 Olympic Games in the Men's All-Around. 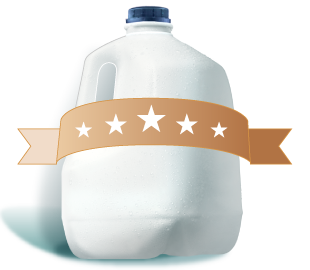 The Milk Processor Education Program (MilkPEP), Washington, D.C., is funded by the nation's milk companies, who are committed to increasing fluid milk consumption. The MilkPEP Board runs the Milk Life campaign, a multi-faceted campaign designed to educate consumers about the powerful nutritional benefits of milk – with 9 essential nutrients, including high-quality protein, in each 8 ounce glass. For more information, go to milklife.com. Campbell Ewald is creative agency for the Milk Life campaign – from America’s milk companies. 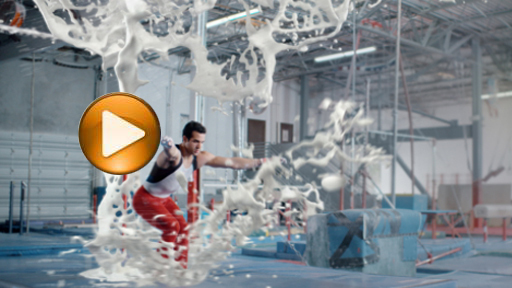 SociedAd is the agency for the milk life Lo Que Nos Hace Fuertes campaign. i Layman DK, Dietary Guidelines should reflect new understandings about adult protein needs. Nutrition & Metabolism. 2009; 6:12.
ii Leidy, HJ, Clifton PM, Astrup A et al. The role of protein in weight loss and maintenance. American Journal of Clinical Nutrition. 2015 Apr 29. [Epub ahead of print]. iii What We Eat in America, NHANES, 2009-2010.